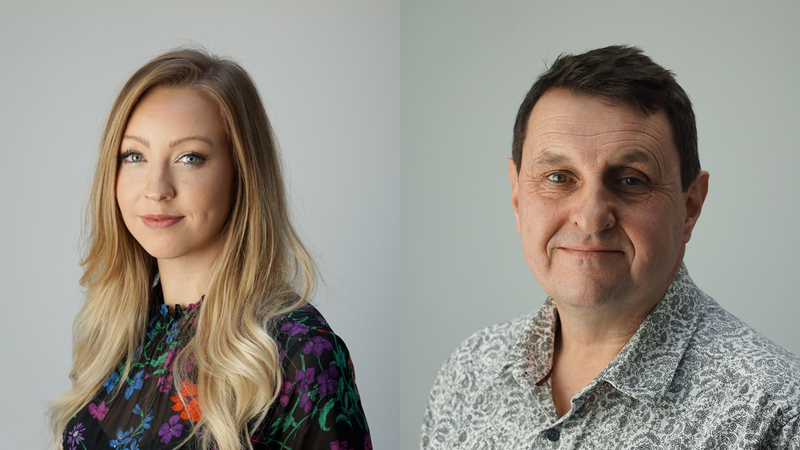 Loco, the moving image division of loveurope and partners have recruited Tony Chamberlain as Head of Post Production and Madeleine Evely as a producer. Tony Chamberlain is an experienced advertising producer and post production consultant who was Head of Post Production for both Channel 4 Television and Red Bee Media (now Ericsson). Prior to that, he was responsible for establishing and running Locomotion Düsseldorf in Germany, which offered the best of British and European creative talent to advertising agencies across the continent. Madeleine Evely joins from Group IMD where she progressed through the ranks of TV administration, account management and new business development. During her time at IMD, she built working relationships across a range of industry stakeholders. The move to Loco sees her returning to her roots in production where she began her career producing TV commercials for leading retail and leisure industry brands. Loco create engaging video content for the advertising, digital, film and broadcast industries. Some of our recent work includes social and OOH video campaigns for wagamama, Byron Hamburgers, and Oxfam Online. For more information about the team and our services, visit our About page. For more information, or if you would like to discuss a script or treatment, please email Loco or call us on 0207 304 4403.